Sci-fi may not fare well at the Oscars, outside of a few technical awards now and again, but at this point, do any of us really put much stock in what the Academy thinks? Almost none of my favorite films from 2014 were nominated for much of anything in any of the usual glut of self-congratulatory awards shows, but one that is always more in line with our general aesthetic are the Saturn Awards, and now the nominees for this year have been released. As the Academy of Science Fiction Fantasy, and Horror Films chooses the nominees and winners, you can imagine they’re a wee bit different than the more mainstream celebrations, and the list for the 41st Annual Saturn Awards is no different. You’ve got big blockbuster comic book movies like Guardians of the Galaxy and Captain America: The Winter Soldier right up there along with independent horror, like The Babadook and The Guest. We’re talking about awards that honor movies like Lucy and Snowpiercer and Paddington, you know it’s a different sort of animal. Anytime the Academy Awards rolls around, there’s usually an outcry from fans that not enough genre films are recognized by the Academy of Motion Picture Arts and Sciences. Luckily, this year the movie that has the most nominations is Alfonso Cuarón’s Gravity, but even if the Academy doesn’t give science fiction the respect it deserves, there are several long-standing and prestigious awards focused specifically on honoring genre material. Last night we posted the Nebula Award nominations, and now the Academy of Science Fiction, Fantasy & Horror Films has announced its nominees for the 40th annual Saturn Awards. 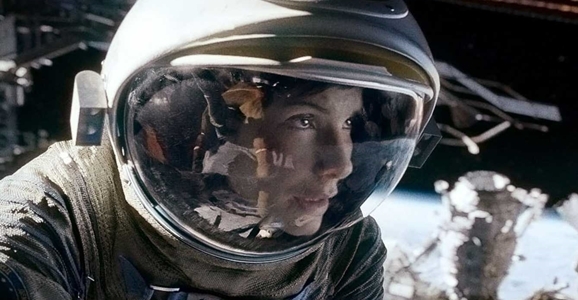 Unsurprisingly, Gravity is a front-runner for the Saturns as well, earning eight nominations including Best Science Fiction Film, Best Actress for Sandra Bullock, Best Supporting Actor for George Clooney, and Best Director for Alfonso Cuarón. 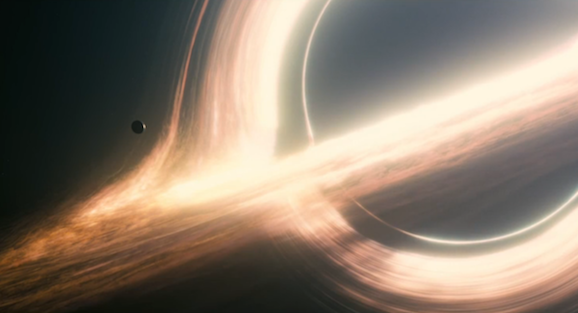 Gravity is tied with The Hobbit: The Desolation of Smaug for the most nominations. Some of the other nominees for Best Science Fiction Film are Ender’s Game, The Hunger Games: Catching Fire, Pacific Rim, Riddick, and Star Trek Into Darkness. At the end of every awards season, there seems to be a sentiment echoed throughout all of science fiction, fantasy, and horror: “Why doesn’t the Academy of Arts & Sciences give genre movies the recognition they desereve?” Although there are some exceptions for directors such as Christopher Nolan, Peter Jackson, and Neill Blomkamp, overall genre movies fail to be awarded any prestige. There’s a good thing the Academy of Science Fiction, Fantasy & Horror Films take the time to highlight the very best the genres have to offer. The winners of the 38th Annual Saturn Awards have been announced, with Joss Whedon and The Avengers receiving four of the awards. Marvel’s The Avengers won the Best Science Fiction Film Award, beating out the Wachowskis and Tom Tykwer’s Cloud Atlas, Ridley Scott’s Prometheus, Chronicle, Looper, and The Hunger Games. Joss Whedon also received the Best Director award for his work on the aforementioned Avengers. It’s awards season! Every year, the Academy of Arts and Sciences honors the very best in film and movie production. But every year, it seems like genre films get shut out of the conversation when it comes to naming the best movies of the year. Luckily, the Academy of Science Fiction, Fantasy & Horror Films takes the time to honor the very best in their respective genres. The 38th Annual Saturn Nominations were announced, and it looks like the Wachowskis and Marvel are at the top of the science fiction genre category with five nominations for Cloud Atlas and six for The Avengers. Rounding out the science fiction genre category were Rian Johnson’s Looper, The Hunger Games, and the Alien prequel, Prometheus. The Saturn Awards also honored indie science fiction films including Robot & Frank, Safety Not Guaranteed, and the apocalyptic romantic comedy Seeking a Friend for the End of the World. Joseph Gordon-Levitt was nominated for Best Actor for his performance in Looper, and Jennifer Lawrence was nominated for Best Actress for her role in The Hunger Games. Rian Johnson received a nomination for directing Looper, while Joss Whedon was nominated twice, for directing The Avengers and co-writing The Cabin in the Woods with director Drew Goddard. It’s good to see movies like Battleship and John Carter get some recognition for visual and special effects, no doubt the only reason to honor those films. 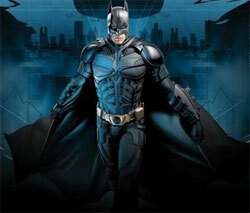 The winners of the 35th Annual Saturn Awards were announced tonight and as it should have, The Dark Knight won big with 5 awards.